Mark Twain Has Filed Bankruptcy! We beg to inform you that Mark Twain has filed bankruptcy! Why this? Being a Los Angeles bankruptcy lawyer, my clients often tell me how ashamed they feel. One of the things I can tell them is they are not alone. In fact, there are many famous people who also have filed bankruptcy. Mark Twain, (Samuel Clemens), was one of them. Actually, Twain’s bankruptcy is old news, although widely reported in the day and eagerly followed by everyone who read the papers. If the case was taking place today, Chapter 13 would have been just the ticket for this popular humorist. Twain’s ”bankruptcy” case was filed in 1894. Technically speaking, the case was actually an Assignment for Benefit of Creditors. It was filed under New York State law. It had to be that way because the Federal Bankruptcy Act of 1867 had automatically expired in 1878. The United States did not have another bankruptcy act until 1898. Twain’s financial trouble resulted out of a business partnership he started with his nephew, Charles L. Webster. They became book publishers, and their firm was to be called Charles L. Webster & Co., at 67 Fifth Avenue, New York, New York. Never mind that neither one of them had actual book publishing experience. Twain foolishly had an “anyone can do this” attitude. It was an attitude he would come to lament, along with what turned out to be misplaced confidence in Webster. Twain deliberately chose to keep his own name off of the company’s official name, Charles L. Webster & Co. At the time, Twain may have naively believed it would protect his personal assets. Despite being in a partnership, Twain agreed to be the sole financially responsible party. When the business was originally formed, Twain agreed to take 90% ownership but also agreed to shoulder 100% of all financial responsibility. Tellingly, the partnership agreement was prepared by Webster’s personal attorney, and there is no evidence that Twain had personal representation. Trading on his own personal fame, Twain successfully solicited the biggest book deal of that era, the memoirs of President Ulysses S. Grant. Grant himself suffered from well publicized financial failures, but he felt that Twain was paying him too high of a royalty. Twain worked closely with the dying general to complete the work just days before Grant’s death from cancer. Grant had quietly transferred his rights to the book over to his wife Julia, hoping that it would protect the book asset from Grant’s own creditors. Grant’s widow became rich from the book, which is still available in print. Twain and Webster turned out to be terrible businessmen. Twain simply did not understand how to operate a business and turn a profit. He promised his authors far too much in royalties, to the point that there was no profit left for him as the publisher, but only loses. Webster became a drug addict and inflicted huge damage on the firm because of his prolonged absences and absurdly drug demented business decisions. Whereas Twain signed up major writers, he usually paid them too much. Conversely, Webster paid out lucrative royalties to authors who had nothing of real literary value. The firm’s demise was in the cards. Webster was eventually thrown out, but it was too late. The firm failed anyway. Twain did not accept public shame or ridicule. He publicly announced that he took full moral, (but not legal), responsibility for all of the company debt. In public statements, Twain and his spokesmen declared that Twain had no personal liability but would work to pay back all the creditors in full, as a moral duty. In reality, Twain was legally liable, and most certainly his lawyers would have told him so. There was already at least one judgment against him personally for a large company debt, and he had given personal guaranties on bank loans for the firm. It seems that Twain and his lawyers were maneuvering from the start to secure an agreement leaving his own book rights alone in exchange for Twains public pledge to personally pay every debt in full. The schedules of Charles L. Webster & Co., book publishers at 67 Fifth Avenue, in which firm Samuel L. Clemens (“Mark Twain”) and Frederick J. Hall are the partners, were filed yesterday. They show liabilities of $94,191, nominal assets of $122,657, actual assets of $69,164, less $15,000 hypothecated to the United States National Bank, and net actual assets of $54,164. There are more than 200 creditors scattered all over the United States. Among the creditors are: Mount Morris Bank, $29,500; United States National Bank, $15,000; George Barrow, Skaneateles, N. Y., $15,420; S. D. Warren & Co., Boston, $6,332; Jenkins & McCowan, $5,363; Thomas Russell & Son, $4,623. There is due for royalties: Estate of U. S. Grant, $2,216; Col. F. D. Grant, $727; estate of Gen. P. H. Sheridan, St. Paul, Minn., $374; Mrs. E. B. Custer, London, $1,825. To give you an idea of just how bad Twain’s debts were, every four cents in 1894 was worth about the same amount of money as $1.00 is worth today. He was in big trouble, and his own liquidity had been wiped out by covering the large losses of the company over the preceding years. Twain was flat broke, and there was no alternative except to declare the insolvency proceeding. Insolvent debtors of Twain’s day had no good legal options. Twain was too famous to skip town, and he would not have surrendered his personal fame and wealthy lifestyle to live in anonymity. There was no discharge of debt available in the law, and Twain’s debts were “scattered all over the United States.” Even if a majority of Twain’s creditors had accepted a composition plan to voluntarily reduce what he owed, it would not have been enforceable to protect Twain from the rest of his creditors outside of New York State. However, Twains representatives were able to secure the creditor’s consent to liquidation of company assets, leaving Twain’s personal assets including his personal copyrights, alone. In return, Twain agreed that he would return to work and pay all of the creditors a 100% dividend. The agreement was probably more the result of Twain’s personal magnetism and popularity than from any particular legal skill of his representation. In any event, the ploy worked. Twain did not despair. Income poured in from his earlier works, and wrote new ones that sold well. Despite his age, (he was then 66 years old which made him an old man by the life expectancy of his day when most men died in their 40′s and 50′s, a fact he dwells upon in his autobiography), he kept a very busy lecturing schedule in America and Europe to earn money. By 1898, he had paid off the debts, and even regained his personal wealth. When he died in 1911, his estate was valued at $600,000. Twain approached his financial problems with bravado and fortitude. He immediately began an extraordinary personal effort to achieve a comeback. He was not ashamed. Far from it, he made his problems public and discussed it openly. He also discussed it in his own autobiography. The legacy of Twain’s insolvency is that debt problems are a bump in the road, not the end of the road. The laws of today offer a fresh start to those who deserve one. Author’s note: The material for this article was obtained from researching primary source materials. Particularly valuable for understanding Twain’s innermost personal feelings about his insolvency, is the AUTOBIOGRAPHY OF MARK TWAIN, written by Samuel Clemens. Twain’s problems surfaced frequently in the news media of his day. The New York Times archives for the 1890′s and early 1900′s proved to be treasure troves of information for this article. I have referred to Mr. Clemens’s by his pen name because indeed Mark Twain is the name he was most commonly called by during that period of his life. Leon Bayer has been practicing bankruptcy law in Los Angeles, California since 1979. His primary focus is on representing individuals and small businesses. He is a founding partner in the law firm of Bayer, Wishman & Leotta and is a Certified Specialist in Bankruptcy Law. You can visit his professional websites at www.debt-relief-bankruptcy.com www.bankruptcyblogger.org and Mr. Bayer authors the “Ask Leon” series on Nolo’s Bankruptcy, Debt & Foreclosure blog, and writes on bankruptcy topics for Nolo’s website. In addition, Mr. Bayer devotes a significant number of hours to volunteer legal services. The State Bar of California has commended Mr. Bayer for this work every year since 2004. 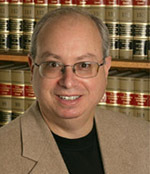 Mr. Bayer’s professional affiliations and leadership roles are many, and include: President of the Los Angeles Bankruptcy Forum (1995-1996), member of the State Bar of California’s Law Advisory Commission on Personal & Small Business Bankruptcy Law (1996-2000), and exam grader and question writer for the State Bar Legal Specialization test on Bankruptcy. Mr. Bayer is a frequent lecturer on bankruptcy law. He has spoken at the former Bridging the Gap program for new lawyers, lectured on bankruptcy case law developments at a number of the State Bar of California Annual Meetings, and has presented bankruptcy law material at many other educational programs. Mr. Bayer’s frequent television appearances include interviews on KCAL9 News and EXTRA (where he weighs in on various celebrity bankruptcies). He has also served as a bankruptcy expert on many different radio shows and news stations, and is a frequent guest on KALW-FM public radio’s Your Legal Rights. Mr. Bayer is currently co authoring a revised edition of Stephen R. Elias’s The New Bankruptcy for Nolo. Other publications include The Essentials of Chapter 13, Daily Journal Report, December 18, 1987, Basic Bankruptcy, California Practice Handbook, Matthew Bender 1992, 1993 (contributing editor), and Personal and Small Business Practice in California, CEB Bankruptcy Practice Guide, 2003 (reviewer and contributing author).